Sure the holidays are fun when you’re surrounded by family members, but it’s also utterly exhausting. I’ve been in the U.S. for 23 days and have a few more days to go – the longest I’ve ever been back since we moved abroad in June 2010. I’m sure you’ve been there…when you travel, you end up sleeping in hotels, beds and couches that just aren’t the same as your own bed back home. I miss our comfortable bed and quiet apartment in Warsaw. 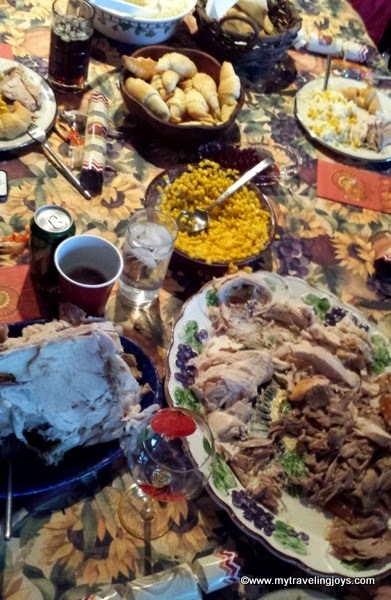 But our first American Thanksgiving since 2009 was a memorable experience. We celebrated this traditional American holiday with 24 members of my husband’s family in Pennsylvania. It’s amazing how my mother-in-law puts the entire meal together for aunts, uncles, cousins, grandparents, etc. She likes to do many recipes on her own because that’s the way she’s always done them, so I actually stayed clear of the kitchen for the most part. However, I did contribute by making my cheesy green bean casserole and two desserts. My homemade cheesy green bean casserole. None of that canned junk for me! Like most American kitchens, not every dish was completed on schedule. Thanksgiving is always a difficult meal to pull off because most of the traditional dishes are baked in the oven. And you can only have so many dishes in the oven at one time. The turkey needed more time to brown on top and then the dinner rolls still needed to be baked. But we did pull it off, and our meal was delicious! My father-in-law and cousin carving up the turkey. Here are a couple photos from our first American Thanksgiving in five years. I hope everyone had a wonderful holiday as well! 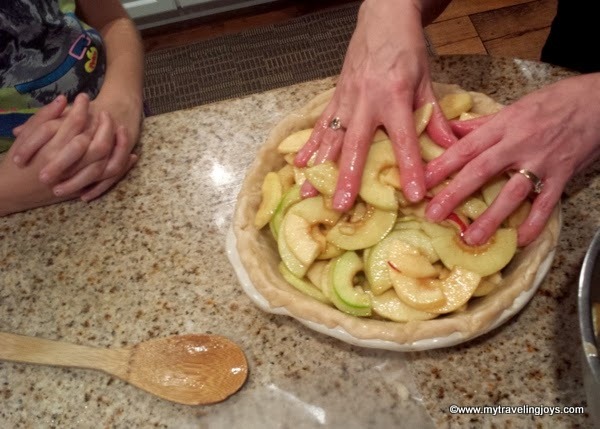 Making pies the day before Thanksgiving. My nine-year-old niece wants to be a pastry chef. I love that! Just some of our Thanksgiving dishes. Thanksgiving 2013 group family photo. 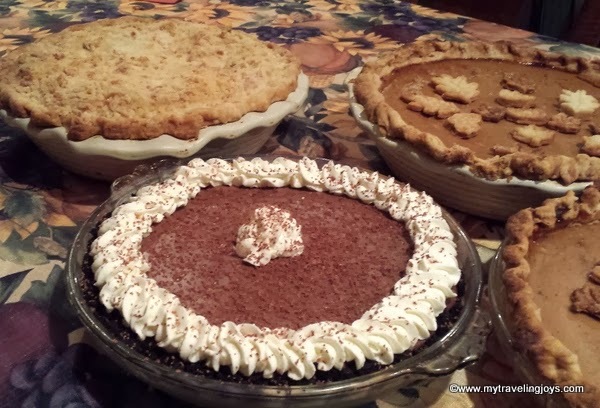 Our Thanksgiving pies - chocolate cream, apple crumb and pumpkin. beautiful picture of your family - its always great to document the occasion when family can get together. 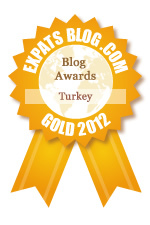 Glad you made it back for the Holidays and hope your next Holiday is as fun but quieter and at home. @Heidi, thank you for stopping by and leaving such a nice comment! :-) Yes, it was nice spending time with both our families and friends, but I can't wait to be back "home." We'll be back in Warsaw for Christmas by ourselves and just plan to enjoy the city and its lights. How special to finally be home for Thanksgiving! And what a long trip! Lucky gal! Wow! Looks like a great meal for a BIG crowd!